Power and Alliances As surveillance technology becomes smaller and cheaper, large corporations are gaining more control over space. Presence in space has long been equivalent with power on Earth because it increases control over political, economic, and military landscapes. In the YB LE DN system, the Nation-State and its boundaries will no longer be prevalent, it is the PMC (private military company) in control of advanced technologies that will have power. 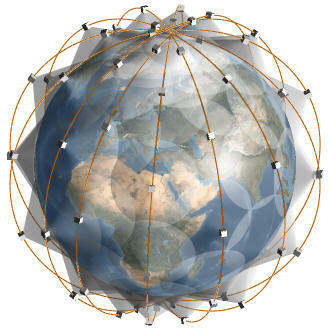 satellite constellation: When 2 or more organizations partner across borders in order to allow for constant monitoring of a certain region as their satellites orbit the earth. DARPA’s Transparent Earth initiative The Pentagon is investing $4 million into the creation of real-time, 3-D maps that display “the physical, chemical and dynamic properties of the earth down to 5 kilometer depth.” Detecting sub-surface activities would allow for early responses to dramatic natural disasters, but also targeting enemies in UGF’s (underground facilities). Depending on who gets their hands on the technology, this greater transparency could also amount to stealing natural resources . Check it out on WIRED. 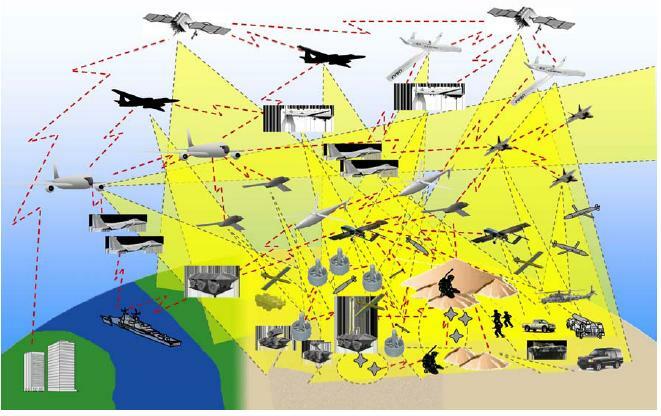 Total transparency will be the result of all these systems (synthetic aperture radar, optical, video, acoustic sensors, moving target indicators) forming a network (or constellation) to provide real-time information on military operations, hidden agencies, geographic substrates, climate, etc. This entry was posted in (UGF) underground facility, DNYBLE, natural resources, PMC, space, surveillance, transparency, Turkey. Bookmark the permalink.